Meet the faces and voices behind the conversations around immigration. These portraits and stories of teenagers who are recent immigrants to the US from all over the world show the diversity, beauty, and potential of the people who now call the United States home. 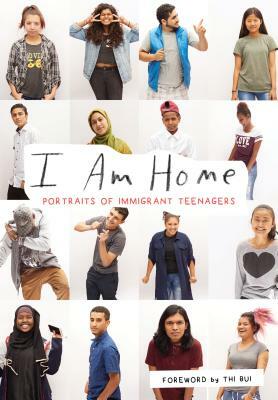 Sixty full-page portraits of students at Oakland International High School, photographed by award-winning photographer Ericka McConnell, are accompanied by their own unique, diverse, and surprising stories of what makes them feel at home. Each of these young people is inspiring in their own right and together their stories will help us consider the issue of immigration with new mindfulness and compassion. All profits from the publication of this book will be donated to Oakland International High School. Rachel Neumann grew up in Oakland and returned to the Bay Area after many years living around the country. Her writing on social movements, politics, art, and mindfulness has appeared in national magazines including The New York Times, Lion’s Roar, and the Village Voice. Ericka and Rachel’s other book collaborations include Long Weekend: Guidance and Inspiration for Creating Your Own Retreat (2018) and the children’s board book Baby Present (2016) , both from Parallax Press.